JeemTV is the lifestyle entertainment media platform for Arab children between 7-12 years old and their families. Developed from JCCTV which was first launched in 2005, JeemTV is the brand integration that answers today’s digital media needs, providing children with opportunities to inspire, learn, and explore across multiple platforms. 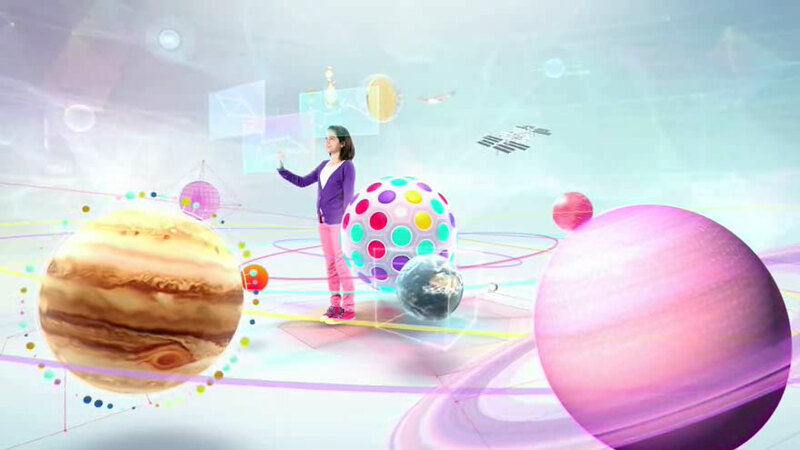 It provides 360 degrees responsible and entertaining content that empowers children through relevant, in a unique and accessible way –wherever they are. JeemTV develops in-house content and enjoys key strategic alliances with internationally renowned content providers to produce shows that tell compelling stories in a contemporary setting. Through its strategic approach to content, it is creating a rewarding consumer cross-media experience and offering high definition programming. JeemTV is committed to offering superior quality content to the audiences, therefore, all programs are considerate and respectful of the values and principles of the Arab audiences. JeemTV broadcasts 24 hours daily on Arabsat, Nilesat, Hotbird, and Eurobird. In order to cater the children’s psychological needs, JeemTV formed a core committee comprising of reputed Arab experts who provide their expertise, and guidance for all programming content. The staff underwent a series of immersion workshops that focused on giving an insight into the psyche of Arab children. Changes in the programming schedule were implemented to coincide with children’s free time so that shows broadcasted at these times could inspire and touch children and their families. Special program grids were developed to fit with children’s daily schedules ensuring that educational as well as entertainment needs were addressed. Technological revolution will play a big part on the screen as a learning tool in an entertaining manner.